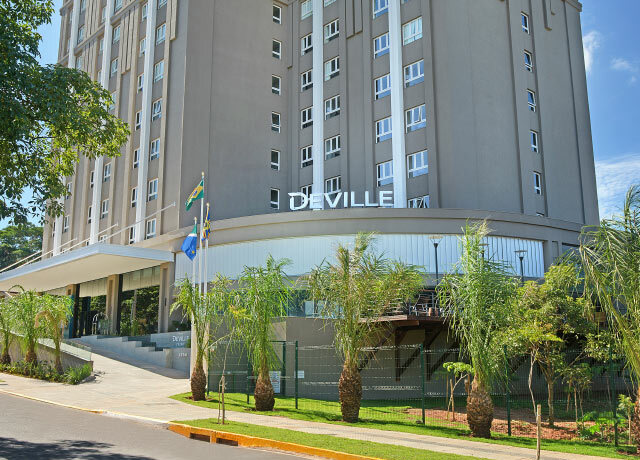 Surrounded by green space next to the sprawling Indigenous Nations Park in downtown Campo Grande, the Hotel Deville Prime Campo Grande is notable for its streamlined contemporary feel in the heart of the city’s landmarks. 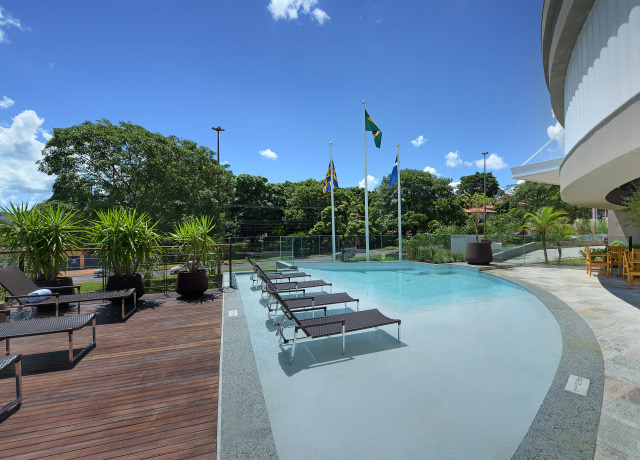 Sink into the comforts of indoor and outdoor swimming pools, free high-speed WiFi, a fitness center and on-site restaurant and bar. 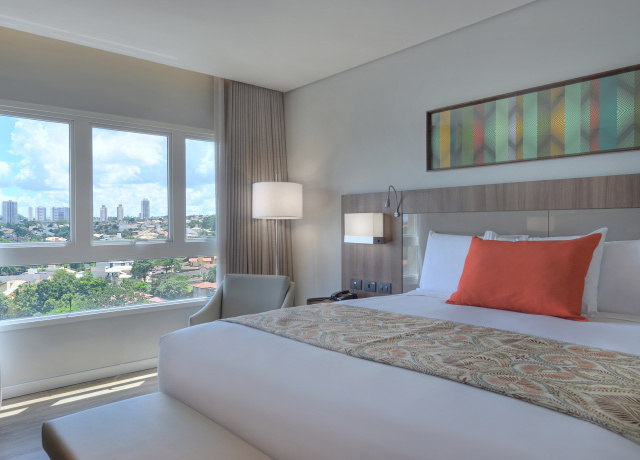 Relax in air conditioned comfort from your spacious light-filled room featuring white linens, pale wood floors and colorful accents that look over Mato Grosso’s capital city from a wall of windows. 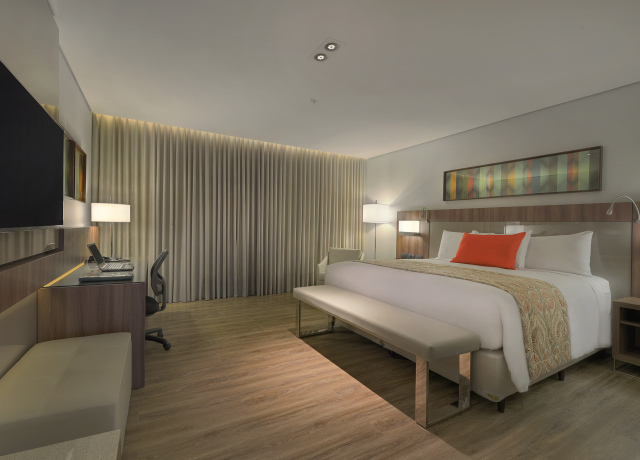 En suite bathrooms include separate soaking tub and shower, plus an oversize vanity area complete with ample mirrors. 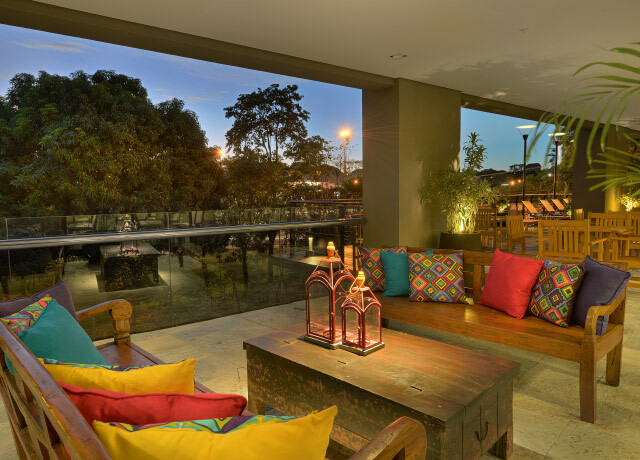 Rooms also feature flat screen television, desk, refrigerator and minibar.